Who Will Sponsor My Event? One of the biggest challenges that event organizers face in acquiring sponsors for their event is how to identify potential event sponsors. It’s shocking how many event organizers aren’t clear on who their prospective sponsors are and why it’s important; without sample sponsor personas, it’s impossible to market your event to sponsors effectively. Developing personas for your target sponsors will help you solve this problem. 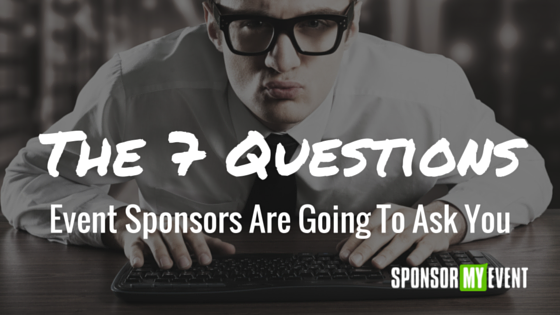 How much do you know about the people you want to sell your event’s sponsorship packages to? 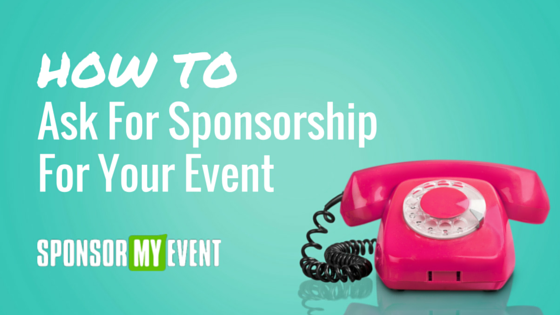 If the answer is, “not nearly enough” than start with these questions to begin identifying your prospective sponsors for your event so that you can accurately market and sell to them. Who wants to sell to your attendee-base? This is type of a ‘reverse engineering’ approach to getting clarity around who your sponsors are likely to be. Think about your event’s audience and who your attendees are going to be. Now, take a step backward and think about who would want to sell something to your attendee audience? Think of some specific companies. Bingo. 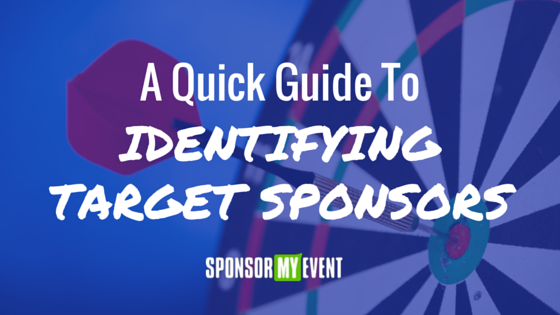 Whatever companies you just thought of provide an excellent foundation for identifying your event’s target sponsors. These companies are likely to be one of the biggest ‘buckets’ that you’ll want to target. What kind of job title is representative of the people who sign your sponsor contracts? This is important because even if you have the perfect list of prospective sponsor companies, it’s critical that you are targeting the right people within those organizations or you efforts may be in vain. It’s very likely that your potential sponsors are going to be in some form of marketing. So, go back to the companies that you just thought of when thinking about who would be interested in selling their product or service to your event attendees. Now, who within those companies is most likely in charge of getting their product or service into the hands of your attendees? Marketers are a pretty safe bet. Who sponsors your competition’s events? What events do you consider to be competitive to your own? Jot down the names of those events on your scratch pad. Now, go to each of those events’ websites and look to see who their sponsors are. What are the common themes you notice in those sponsors? 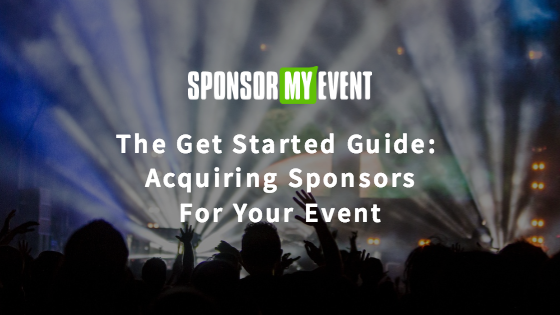 Not only can you approach these specific sponsors but you can also leverage whatever commonalities those events’ sponsors share as another useful element in zeroing in on potential sponsors. One surefire way to identify ‘what’s working’ with your target sponsors personas is to revisit what’s worked in the past. Now, obviously, this isn’t something that you can do if you’re organizing an event for the first time. Something to keep in mind is to make sure that you’re catering to sponsors who will find value in your event and its attendees. Make sure you’re designing irresistible sponsorship packages that will attract those sponsors and create ROI for them. To this end, also be aware that not all sponsors are a good fit for your event. They may not (and you may not) realize this until after they’ve sponsored one of your events. And, that’s ok, as long as you’re sure that you’ve done everything in your power to deliver a return on their investment. What are your attendees interested in? This may sound a lot like the first question — “Who wants to sell to your attendee-base?” — but it’s actually a very different question. For example, perhaps you’re organizing a conference for marketers. Marketing solutions providers are going to be very interested in getting in front of your audience. But, your audience may have other interests related to marketing, too. Surveying your attendees from last year and new attendees that will be coming to this year’s event is a great way to uncover hidden interests as well as to provide you with a data point for approaching companies that may be interested in connecting with your attendees based on this newfound interest.